While “spirituality” invokes a beautiful feeling and makes you think of light, journeying down this path is never easy nor full of highs. It’s quite the opposite. The road to spirituality is messy, bumpy, and full of roadblocks. If it was easy, all of us would have been enlightened beings right now. But, no. Spirituality has its dark sides and alleys that the faint of heart may fail to pass through. Below are the common roadblocks you may encounter down your spiritual path. Read them, learn from them, and prepare yourself for them because they are surely going to meet you along your spiritual path. 1. Realizing that the journey is what you make it. Learning from the journey of others is only half of the job that needs to be done. Having preconceived ideas of how things work does not make you spiritually enlightened. You will only get on your right path when you begin to work and get your hands dirty for what you really care about, no matter what others think. This is where spirituality starts to become beautiful. 2. Looking at yourself, other people, and situations with no bias. This means you have to look at everything as they truly are, without judgment nor bias. It could be hard because your ego is skillful at manipulating you in this part. And this is a skill you need to master first before you are prepared enough to continue with your journey. 3. Loving those who have hurt, manipulated, or abused you the most. Is there anything harder than that? Do you think it would be that easy to love the very people whom we loathed so much inside us? 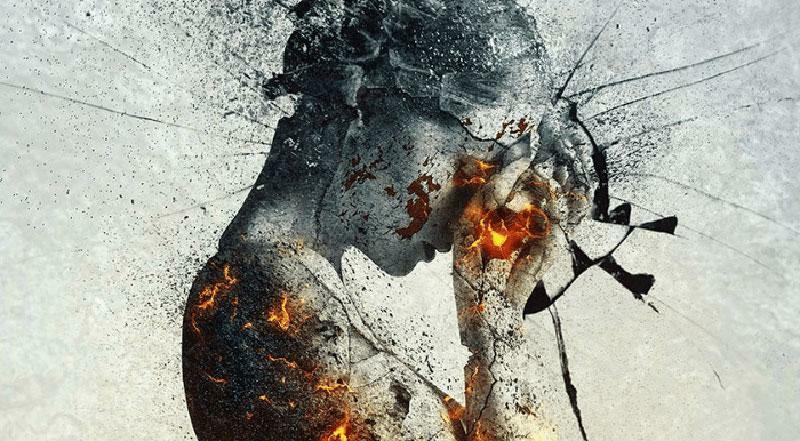 The truth is, life-changing or traumatic events trigger spirituality. You are spiritually awakened when you manage to rise up from these experiences that send you spiraling either upwards or downwards. And it’s only in these experiences that you can look at life from a different perspective. 4. Seeking answers on your own. As you embark on your spiritual path, more and more questions arise. Ironically, you are not given the answers right then and there. You need to seek for the answers everywhere, all by yourself. You need to look for them inside and outside of you. And everything you’ll have to trust is your own gut. Most often, you will receive these answers when you are about to give up searching for them, until you realize that there is more to the experience. When you start to awaken, you will begin to feel disconnected from others as if you are peeling away your old lives. You will experience opposing emotions all at the same time, such as feeling beautiful inside while being confused and in pain. 6. Having to dig up aspects of you that you dislike. As your soul is waking up, it’s unburying your authentic self, the person you really are. But as you do this, you will have to dig up all those things that you dislike. A battle of willpower occurs because you need to bring to light those unwanted aspects of you for healing and transformation. A healing couldn’t take place when you fail to acknowledge the wounds. So in order to heal them you will have to feel them. Do not carry a faint heart if you decide to embark on your spiritual path. However, even if you begin with a faint heart, you will soon have the capability to grow your heart in leaps and bounds. These protection layers will keep you safe from getting your pure heart broken. However, the toughest thing you’ll need to do after you establish these walls is knowing when to break them yourself. In that process your heart will become truly tough. 8. Staring deeply into yourself to heal. Because spirituality requires you to heal your wounds, you need to look at yourself, your life, and the people in your life more deeply. Stare deeply into situations no matter how ugly they may look like. Looking at them and acknowledging their presence are the first steps to healing. 9. Seeing repressed memories through meditation. While meditation relaxes you and provides you ample benefits, your breakthrough will only come when you start to see the memories you don’t want to see about yourself and others. This means you have to go back and relive those memories that hurt you the most. The spirit leads you to uncover your spiritual side, which does not intend to take you down or harm you, but to heal you and make you whole. When you want to heal, you need to stop running. Instead of avoiding the things that hurt you, you should develop a brave heart that makes you accept the painful moments and enables you to send love to yourself and everyone present in your painful memory. Once you do this, your relationship with yourself, as well as with others, will greatly improve. The words of other people no longer hurt you, and you experience a spiritual high where you now can appreciate the flowers, people, nature, experiences, and most of all yourself. Always bear in mind that raising your vibration doesn’t mean to act only positively and always think happy thoughts. Acting or thinking positively means nothing when you are still broken inside. Raising your vibration also includes returning to your authentic self and healing the things you don’t want to see deep within. The spiritual path is full of thorns and roadblocks, but still, it is the most beautiful path anyone could ever trod.